If you are in the business of manufacturing or designing the products, it is necessary to buy auto manufacturer insurance to get coverage against those claims which may be filed against you by dissatisfied customers. These claims may be filed by customers when the product manufactured or designed by you doesn’t meet the quality standards. It may happen due to flaws, manufacturing defects, or when the government asks to recall the product. As any of these situations can result in substantial losses, the Auto Manufacturer Insurance helps in covering them. Deductible: In the insurance field, the deductible is that portion of the claim amount which a policyholder agrees to pay from his/her pocket before the insurer settles the remaining amount. By opting for a high deductible limit, one can trim their premium rates. However, if you are increasing the deductible just to lower the insurance premium, think twice. You would have to pay a substantial amount from your pocket at the time of claim before your insurer comes in. So, increase the deductible up to that limit only which you can afford. Claim History: If your business has filed insurance claims in the past, the insurer may increase the premium rates. Geographical Location: Where your business is situated plays a crucial role in deciding the premium of the Auto Manufacturer Insurance policy. The location of your business greatly influences the local laws, geographical risks, etc. ; and all of these factors together can impact the premium rates of your auto manufacturer insurance policy. Coverage Opted: The higher the sum insured of your auto manufacturer insurance policy is, the higher would be your insurance premium rates. Inherent Risk: The nature of your business operations play an important role in deciding the premium rates. If your business operations and products are risky, the insurer will increase the premium rates. Business Turnover: How much you are producing or manufacturing in the year helps in deciding your premium rates. A small auto manufacturing firm with low business turnover would have to pay less premium than a company whose turnover is in crores. Country Of Export: The countries where you are exporting your goods influence the auto manufacturer insurance policy premium rates. Quality Control Procedure: Just buying the Auto Manufacturer Insurance Policy doesn’t mean that the policyholder can act carelessly. By following all the quality control procedures in manufacturing your products, you can trim your policy premium rates. Similarly, if the insurer observes that you are acting negligently and not following all the safety norms, you can see a rise in your insurance premium rates. 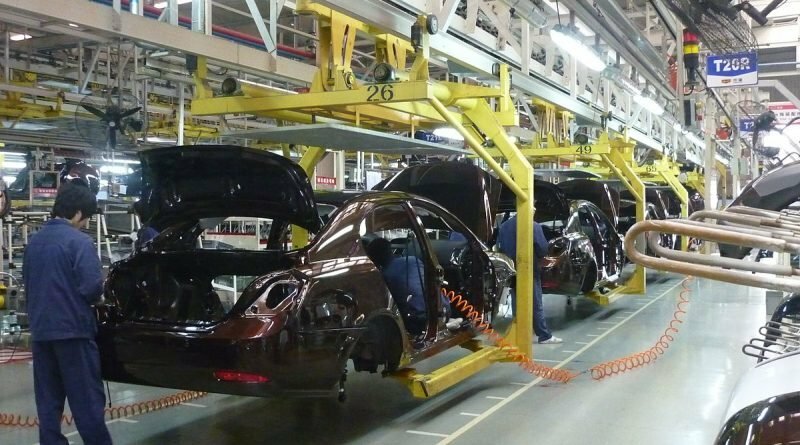 Technological advancements are creating numerous opportunities in the automobile and manufacturing sectors. However, with this advancement, one can’t ignore the new and complex risks which are also arising. Then product recall risk is also a concerned in the auto manufacturing sector. There are cyber and liability risks prevalent in the sector. Regulatory agencies continue to pose challenges. Then the global supply chain is also subject to political unrest and disruptions as well. SecureNow’s dedicated auto manufacturer insurance team understands your industry’s business risks and offers you comprehensive guidance to recover from losses and risks. This collective expertise is then bolstered by the industry-leading analytics capabilities, which also offer business insights to make informed decisions and enjoy a competitive advantage. By entering a few details about your business requirements, you can get policy quotes which you can compare to find the right policy for yourself. This comparison of multiple policy quotes will help you in finding the policy at easy premium rates. The expert knowledge of the team has helped the clients, which are vested in the industry. By curtailing the risk and costs, SecureNow can assist you in protecting your balance sheet, reducing business volatility and improvising the bottom line.